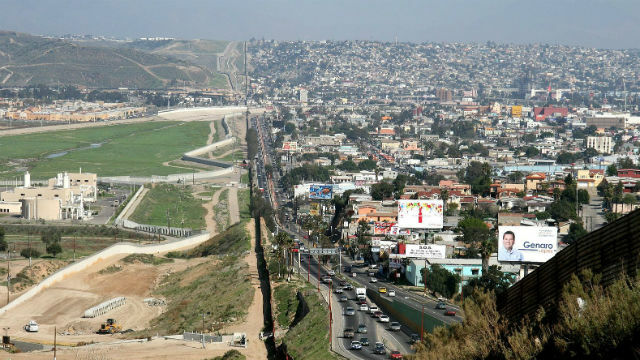 South County and Tijuana political leaders said Friday the anti-immigrant and anti-Mexico rhetoric at the federal level has not harmed the day-to-day cross-border relationship. “San Diego and Tijuana have been shining stars over the past months,” said Serge Dedina, mayor of Imperial Beach. “I see this as ‘Romeo and Juliet.’ They tried to put a border between us but the love is still there,” said Maribel Ivette Casillas Rivera, a Tijuana city council member. “The fabric of our community is ever growing richer because of the immigration population,” said Mary Salas, mayor of Chula Vista, the county’s second largest city after San Diego. The elected leaders spoke on a panel at the 27th annual economic summit of the South County Economic Development Council. And Casillas Rivera noted that Mexico’s capital was 2,000 miles away, creating a similar lack of understanding. Still, the leaders voiced concern about the impact of the federal rhetoric on residents of their communities. He said its important to view San Diego and Tijuana as a mega-region, even though there is a line on the map between them. “In Tijuana the feeling is that we can grow together,” said Casillas Rivera.